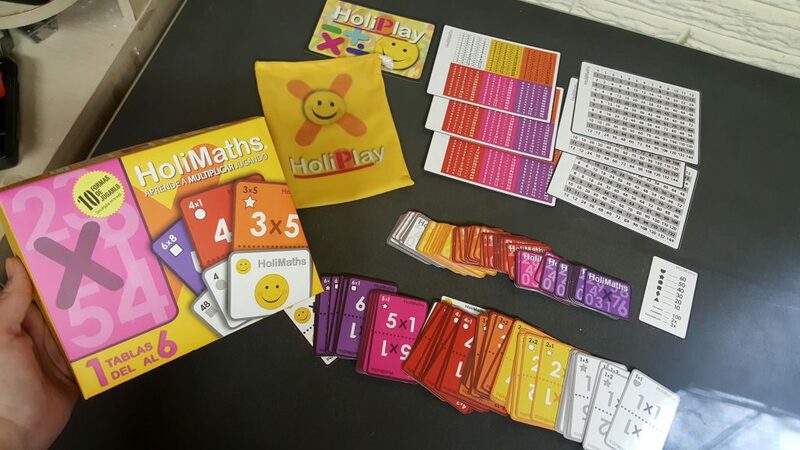 So this week I was sent the HoliMaths Multiplication math game made by HoliPlay and overall I really like the potential this game has! 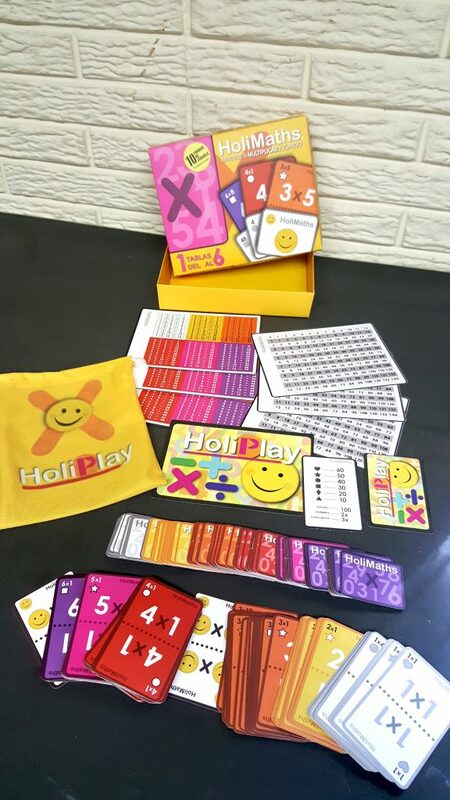 It is launching as a Kickstarter campaign and new in the USA so you can find video tutorials on the HoliPlay YouTube channel as well as directions in both English and in Spanish. 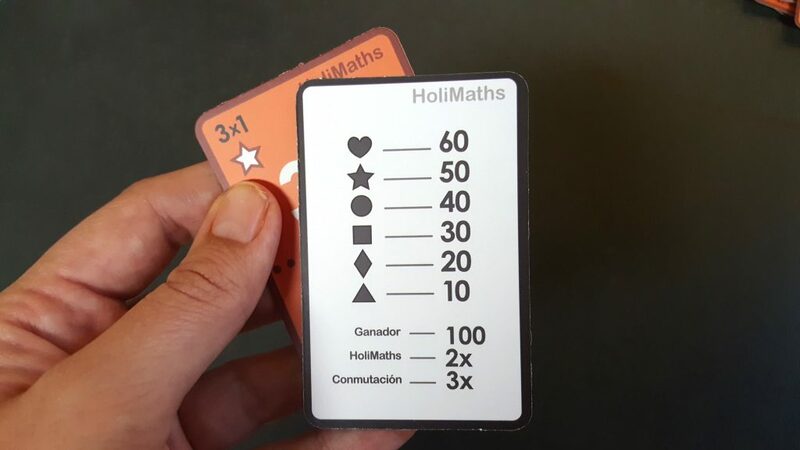 I direct you to their YouTube channel because this HoliMaths Multiplication game has 10 (YES TEN!) different ways to play it! And they have a video tutorial that shows you step by step how to play each variety of game as well as the ability to watch an actual game in progress. For starters the game is geared for ages 7+. They don’t have to have all of their multiplication facts memorized but it sure does help! Included with the game are two different kinds of “cheat sheet” cards that you can reference to during the games. Although the games are competitive not all of them are based on time. AND in fact you can play with as little as 1 player all the way up to 6 players so there are different types of games for everyone. I love that there are 10 different types of games to play which means multiple levels of learning are going on. This game, Steps, is essentially like a solitaire game that you play with other people. The first card laid down is your base card to build off of (think Scrabble) and then you take turns building the cards around it in sequence. This card here utilizes a point system based on the shapes found on your cards. 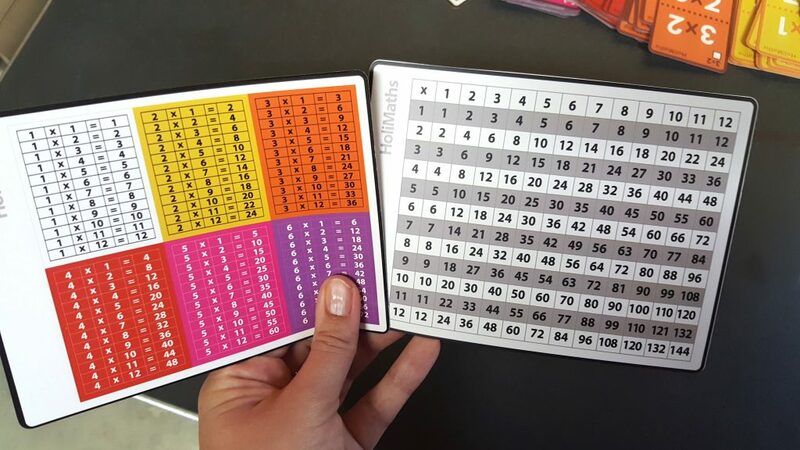 There are games for shouting out numbers in a speed game, a Go Fish type game where you have to pair products with their multiplication equation, etc. Definitely many options. All of the cards store in the included bag which fits nicely in the box. 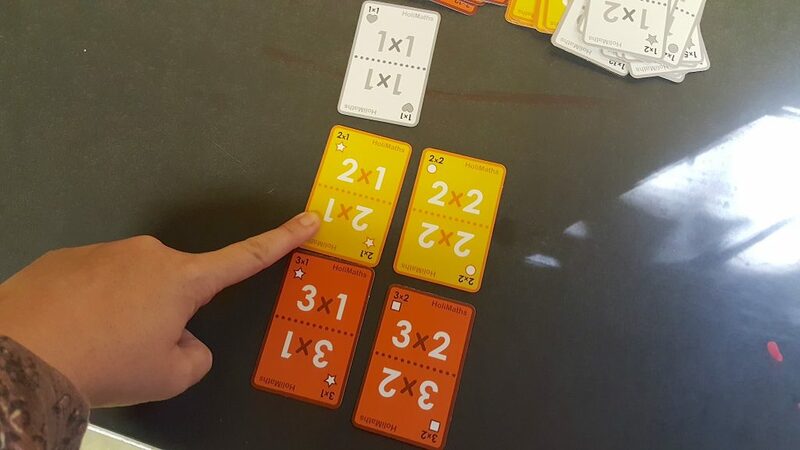 The game is starting out at a retail price of $29 which is a little high but it’s a strong multiplication facts game making math more fun to play than work to learn. It’s an incredibly versatile game in that there are 10 games to use it for from a solitary player to groups of 6. So if you have 18 kids (or less) in your classroom they can be paired in 3 groups to play and practice. Overall I would recommend the game. It’s a really strong core math game that really lets kids have fun while practicing their basic math facts. It definitely is more fun than work and more hands on than straight memorization! The game helps kids apply their facts and I expect as it gets closer to a full launch date some of the things online will be nailed out on their website. The multiplication facts only go up to 6 so this is more for beginning math skills in this area. The smiley cards you see are wild cards which makes it fun! Definitely check out their website as they not only have math games but also geography and art ones set up in a similar manner too!